Jack and Rebecca Pearson are going through some rough times right now. At the end of the first season of This Is Us, the two have an epic, blowout fight that ends with them making amends…and then Jack moving out of the house. Noooooooooooo. This isn’t the first time we’ve seen Jack and Rebecca fight, and it probably won’t be the last either. They’re also not the first NBC couple we’ve seen fight, and during the recent This Is Us PaleyFest, panel moderator Kristin Dos Santos couldn’t help but bring up Eric and Tami Taylor. The live-read came as a surprise to Milo and Mandy, who were not told ahead of time they needed to channel their best Coach and Tami. Mandy instantly slips into character, because you know she’s binged FNL a few times through. It takes Milo a little bit longer, and he even asks for a “take two” at one point. Honestly, take all the time you two need to get this right — both as Jack and Rebecca on the show, and during this recreation, because this is our new everything. 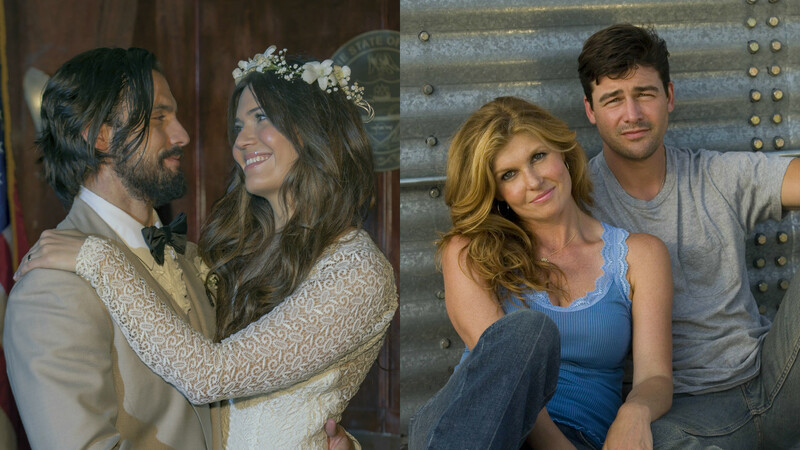 If NBC ever decides to reboot FNL, they should think about doing it with the cast of This Is Us. This is a good idea, someone make this happen. Sure looks like we now know what Milo is going to do on his This Is Us summer vacation: Binge FNL with Mandy (and the Big Three are probably invited, too).